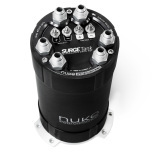 This new version is able to handle three internal fuel pumps with its three 3/4 AN-8 outlet fittings. New setup with individual fuel pump connection, run one to three fuel pumps in two steps, either 1+2 or 2+1 with the dual setup of electrical connectors on the top lid. 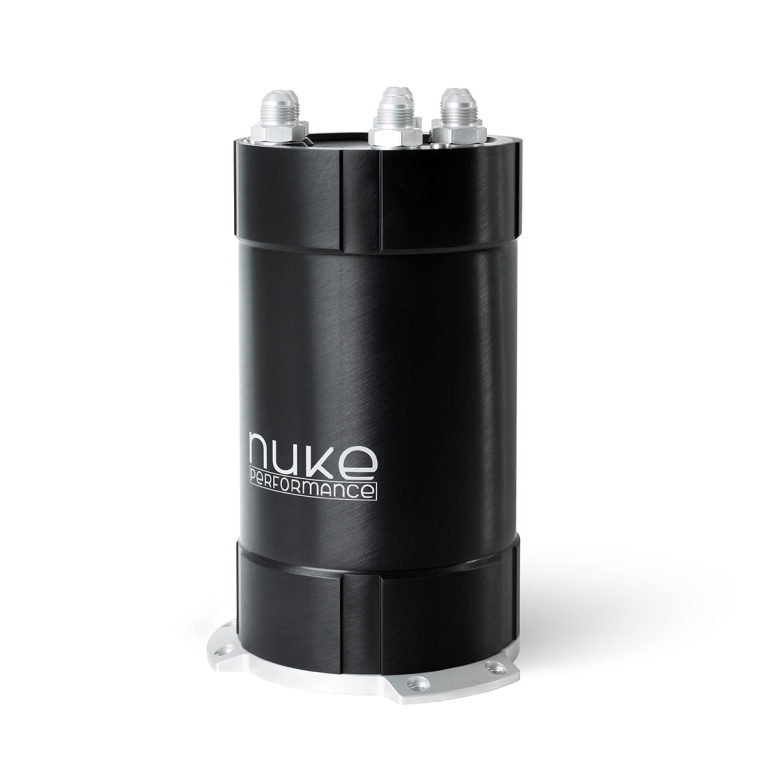 Designed and manufactured to handle extreme amounts of power with the same hallmark as all of Nuke Performance products. Everything is included for running either one, two or three fuel pumps. 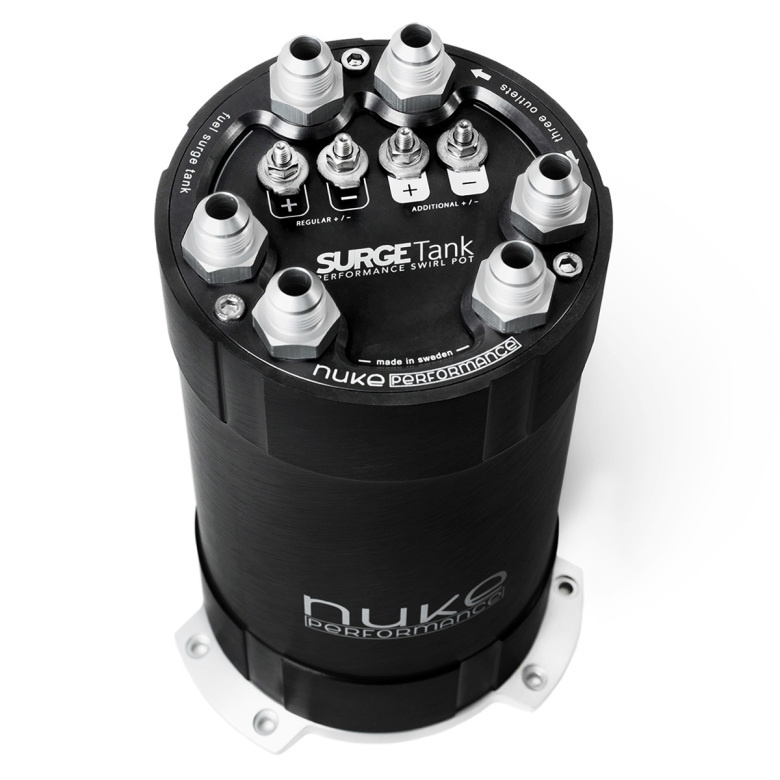 Run one to three internal fuel pumps with the same universal surge tank / swirl pot. Fuel pumps are mounted with the billet internal mounting bracket. Delivered with billet aluminum mounting bracket for easy mounting and 3/4 AN8 fittings for all the top cover connections. 3/4 AN6 - AN10 is optional and are sold separately. • Delivered with 6x 3/4 AN-8 and 2x 3/4 plug fittings.